The Problem With the Single Copy Checkouts and Four Easy Steps to Fix It: A Mr. Magazine™ MagNet Exclusive. In life there is the one percent vs. the 99 percent, in magazines there is the five percent vs. the 95 percent. This week, in my ongoing conversations with MagNet’s Luke Magerko our focus once again is on increasing retail sales by changing the title mix at checkout. 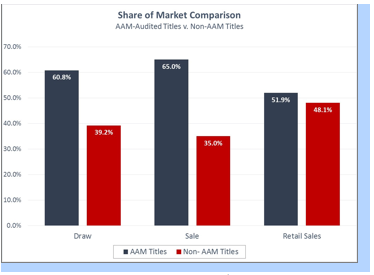 First, we report on a topic in the news this week: the share of market of AAM-audited titles and non-AAM titles and why industry reporting of AAM-Audited titles do much more harm than good. MANY NEWSSTAND EXPERTS NOTE THAT AAM-AUDITED TITLES REPRESENT NEARLY TWO-THIRDS OF SALE AND SHOULD BE THE FOCUS OF ANY NEWSSTAND INITIATIVE. Those experts chose the wrong metric. MagNet agrees that nearly two-thirds of all UNIT sales are AAM-Audited titles, but this metric is meaningless. Retail outlets do not measure the publishing industry by units sold, and the wholesalers do not get paid based on units sold. The important analysis is revenue; and it looks much different than unit sales. WHAT ARE THE ACTUAL RESULTS BETWEEN AAM-AUDITED TITLES AND NON-AAM AUDITED TITLES? MagNet analyzed sales results from two time periods: 12 months ending March 31, 2014, and 12 months ending Mach 31, 2013. 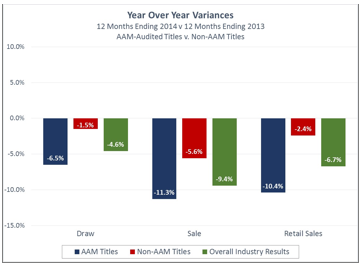 AAM titles were categorized based upon AAM 2013 second-half results. The weighted cover price of AAM-Audited titles is $3.97 while the weighted cover price of Non-AAM titles is $6.81. This cover price difference causes parity between the two groups of titles. 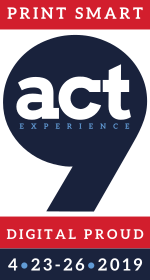 HOW ARE THE TWO GROUPS PERFORMING? This will be the headline in the New York Times, USA Today and all other major newspapers: “The magazine publishing industry yet again produced double digit declines….” The headline is true, if you only look at a small subset of titles representing barely half of all retail sales. Reporting AAM-audited titles has been a disaster to the image of magazines at retail, and the reporting must change immediately. BUT CHANGING A REPORT WILL NOT CHANGE THE INDUSTRY! The report is a symptom of a greater challenge. The publishing industry has stagnated because this small cadre of titles* also owns the vast majority of checkout space and has fended off other magazine challengers for the space. CHECKOUT IS A MERITOCRACY: THE BEST TITLES ARE AT THE CHECKOUT. Checkout pockets are judged based upon profitability per pocket and most, if not all, checkout titles pay exorbitant pocket fees to maintain their ranking and space. There is also one other fee to consider: the “Pay-to-Stay” fee. WHAT IS PAY TO STAY? Pay-to-Stay is exactly what it sounds like: checkout publishers are given the first opportunity to hold on to checkout space through this fee. “Pay-to-Stay” implies the current checkout title mix is the best mix of magazines and that current titles should keep their space. DO PUBLISHERS EVER DECLINE A PAY TO STAY? No. 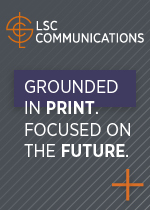 Checkout publishers acquired the space because they know its value. There are few instances where a publisher declines a pay-to-stay. Taking this to its logical conclusion, current checkout titles own the space and fight to keep it while many profitable small to mid-sized publishers are relegated to the mainline section in aisle. HOW DO MID-SIZED OR SMALLER PUBLISHERS ASCEND TO CHECKOUT? First, we need to agree checkout space is not being maximized for sales growth and profitability. We cite two examples, one estimate and one anecdotal. 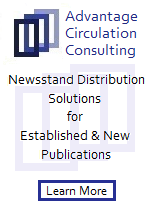 MagNet estimates that certain top ten checkout weeklies sell less than one copy per pocket per issue at least 10 percent of the time and less than two copies 40 percent of the time. THAT IS IMPOSSIBLE! THAT WOULD BE AN INCREDIBLE WASTE OF CHECKOUT SPACE! It is happening and MagNet now provides evidence that unit sales have declined to a point where even the strongest checkout titles are changing strategy to maintain its checkout space. 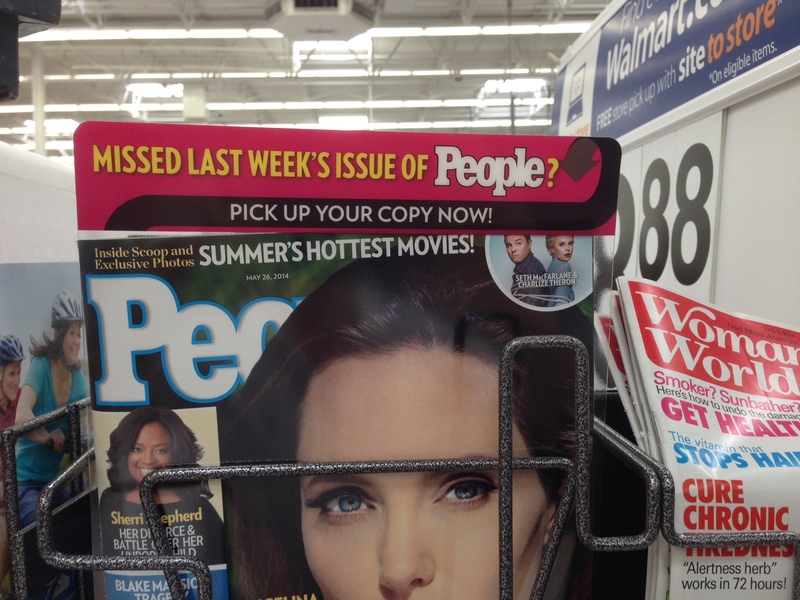 People Magazine and Us Magazine have added dividers to the checkout pocket, ostensibly to sell off-sale issues. The dividers also suggest these titles know they cannot ship a full pocket of copies as their sales do not recommend it. SO WHAT NEEDS TO HAPPEN AT CHECKOUT? Step One: Mid-sized publishers must understand their titles are worthy of checkout space. Their current sales volume from the mainline would be more than enough to usurp some existing checkout titles. Five publishers have enough product to create a multi-title checkout pocket similar to Meredith’s Special Interest Publications right now. Step Two: Mid-sized publishers must understand the economics of checkout, and determine if they can remain profitable while increasing sales. Step Three: Wholesalers/category managers must open the checkout acquisition process to more publishers, and reach out directly to inform them of opportunities. Step Four: Smaller publishers must be engaged in this process as well, but that will be another article. WHAT SHOULD SMALL/MID-SIZED PUBLISHERS FOCUS ON NOW? I am not suggesting publishers should assume they will acquire 200,000 checkout pockets in the next twelve months. Publishers must understand where there are opportunities, however and create a strategic plan around those opportunities, budget for those opportunities and move forward. MagNet’s proposal for checkout fosters competition, increases sales, and provides increased profit for retailers. It is a win for an industry desperately needing a win; and is an opportunity to change the story from constant sales declines to increased sales. VERY INTERESTING, PRO-GROWTH STRATEGY, LUKE! AGAIN, IF YOU WOULD LIKE TO REACH OUT LUKE, PLEASE CONTACT HIM AT LMAGERKO@MAGNETDATA.NET OR TO REACH OUT JOSH GARY, PLEASE CONTACT JOSH AT JGARY@MAGNETDATA.NET. I hope this week’s conversation will be a good base to start a true conversation toward a vibrant newsstands checkouts and single copy sales. 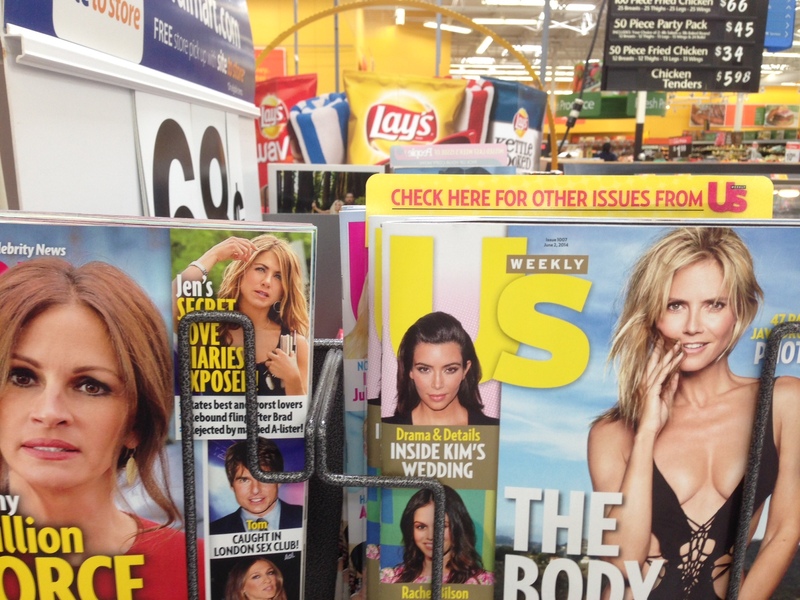 Needless to see without the newsstands the magazine industry will truly be hurt. Whether you agree with Magnet’s solution or not, now is the time to voice your opinion, please click on the comment button below and post your comments. © Samir “Mr. Magazine™” Husni, 2004. All Rights Reserved.